Our phones keep evolving every year, growing smarter and more advanced. Just as our phones evolve, so has our texting. Back in the days of flip phones and T9, texting was incredibly simple — it only did what was necessary of it. Now, however, we’re all sharing emojis and .gifs, or hosting video calls and group messages. 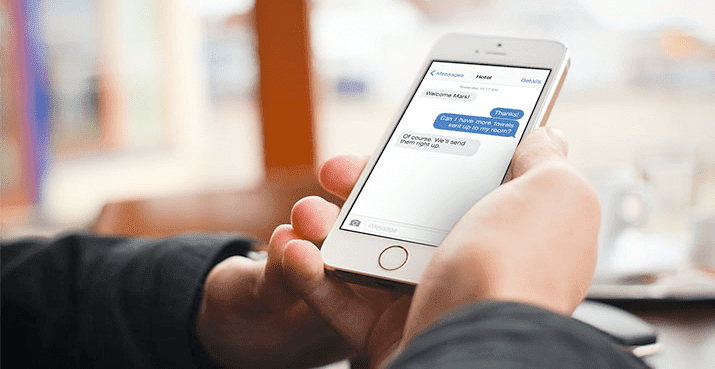 iPhone users will immediately recognize the benefits of iMessage over normal SMS and MMS. In fact, just in the iOS 10 update, Apple introduced even more texting features like stickers and image reactions, or embedding maps. But for Android users, they were limited to adopting new messaging apps like WhatsApp or Facebook Messenger to gain the features iMessage brought to the table. These apps worked, except it forced users to manage two contact lists, create and share usernames, and login to access their services. So in reality, it just wasn’t a perfect fix. Well, Google once again has come to save the day: in 2015, they made the right moves to help push these great texting features into an Android standard. This is great for consumers who need an easier way to text, but this is even better for businesses looking to provide the best customer experience possible. Don’t worry, we’ll explain it all. One of the easiest ways to understand these new Rich Communication Services, or RCS, is to simply think of it as iMessage for Android phones. The idea is that RCS is introducing a new “Advanced Messaging” standard for Android-powered devices. RCS would expand beyond text messages, and include even more features and functions — things like high quality picture messages and group chats. The idea actually began back in 2007, when the GSMA (a fancy trade group that represents the top 800 or so phone carriers around the globe) began to envision the future of messaging. Overall, the idea for a new service was formed — one that would carry information the same way cell phone data is transmitted, but include video, voice, photo, and other powerful features. Unfortunately for everyone holding their breath, the idea never really took off and was tied behind a lot of politics. Many in the industry even considered RCS to be a bit of a joke. 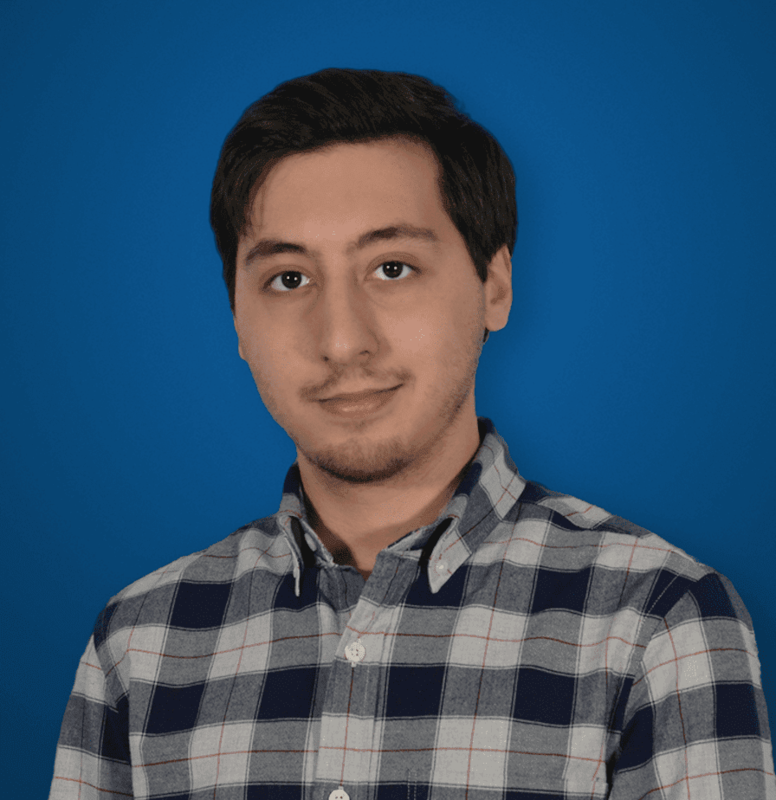 But in 2015, Google went ahead and acquired Jibe, a startup that was focused on fixing this exact issue — that is, how to implement a more modern, feature-packed texting standard. How Does RCS Improve My Texting? Mentioned above, the idea behind RCS is to improve the standard texting we already use today. Apps have filled in the gap for Android users, and that’s part of the reason why platforms like Facebook Messenger became so popular. But at this point, there is a large medley of apps out there to choose from. They don’t all play nicely together if at all, and there’s not one agreed upon standard. So what is texting missing, and why does RCS need to come in and save the day? For anyone utilizing a team messaging and collaboration solution, like Slack or Cisco Spark, this again will all sound familiar. These are the features we have grown to expect in modern solutions, and the features we have come to rely on for not only our personal lives, but even improving our productivity in and out of the office. But, How Does This Help My Business? But if your business is already utilizing Slack, HipChat, Cisco Spark, or any of the other thousands of Slack Alternatives, you might be wondering why your business should even be concerned with a new standard. 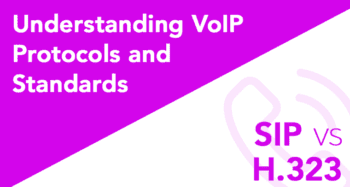 Well, the idea here isn’t necessarily to improve your business texting, that’s something you can already leverage your UC and VoIP solution to do. And every business could benefit from utilizing their VoIP texting capabilities. 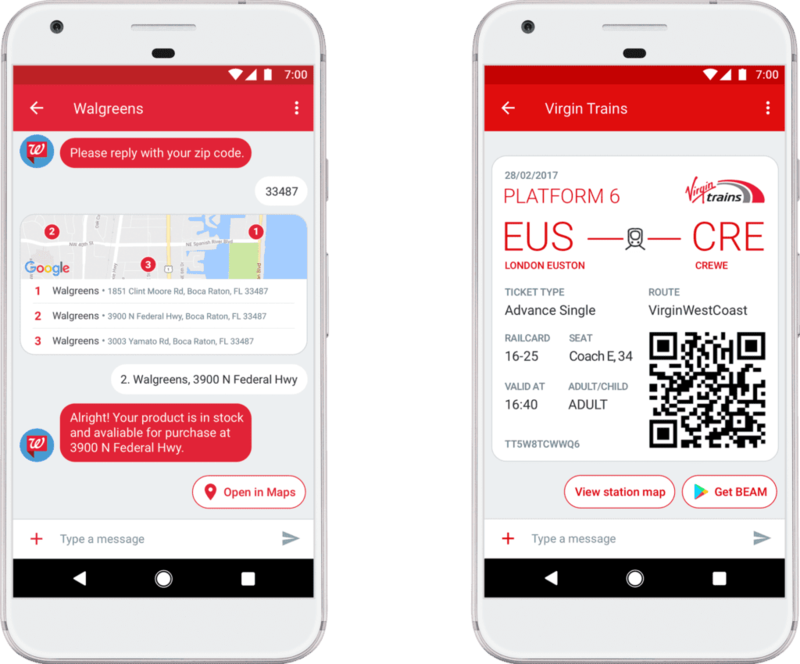 The real takeaway here is how your business can use RCS, and the new standard, to offer the best customer experience possible. I’ve discussed in the past how important the customer experience is. Technology has opened new doors and new methods of communication, but it has also allowed us to connect previously unconnected channels. This is where the omnichannel experience comes in, along with popular developer platforms like Twilio and Nexmo. But getting back to RCS — the adoption of a new, advanced standard will help your business grow provide the best customer experience possible. 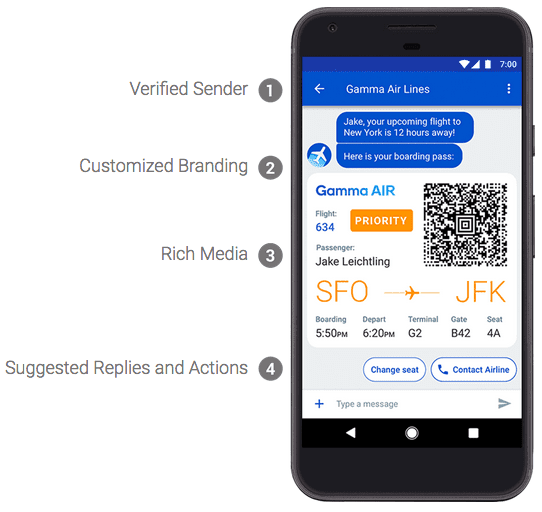 Businesses are already utilizing texting for support, and texting to share information — airlines use it to send customer’s their boarding pass, or any updates and changes. Except, when sending SMS, your message is altered to be boring, generic, and basic. RCS will allow your business to transform these basic, clinical text messages into brand personalized communications. Because RCS will allow for more content-filled messages, businesses can leverage this to include more than basic text information in their communications. This could be anything from a simple business logo, to ensuring a client is talking to a verified sender, to even directly sending a boarding pass copy through an RCS message. That might look something like this. Any business in any industry should always be on the search for the latest technologies. Any competitive edge your team can gain over another should be leveraged in anyway possible. It’s no surprise that contact centers are a hotbed of technology, rapidly adopting anything that can help boost their agent productivity, user experience, and user satisfaction. Just take a look how contact centers can utilize AI to analyze the mass amount of data they capture. Combine AI, with new forms of communication from texting to in-app support, with an omni-channel experience, and you should have some really satisfied customers. But even moving away from the sci-fi technology and chatbots, modern technology can be used to improve the systems and standards we have today. Much like RCS is improving upon the current texting standard, this falls in line with two other tech advancements I’ve taken a look at in the past. With the next generation of data transfer coming very soon, 5G speeds, we will be able to power some large file transfers, or just stay connected with super fast internet even as we’re driving down the street in a car. 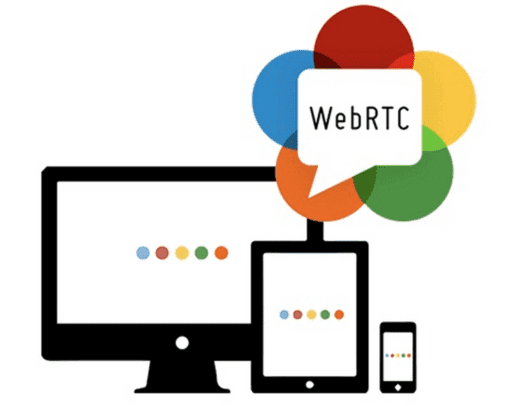 On top of the adoption of 5G speeds, we’re already seeing WebRTC push its way even further into the mainstream. 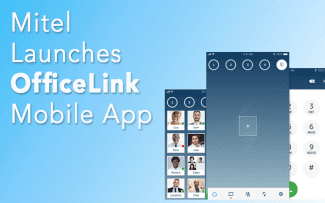 For example, Amazon’s newest venture, Amazon Connect, is leveraging WebRTC for agents to host video or voice calls right in a web browser without ever having to download anything. In fact, Amazon has been leveraging WebRTC for quite some time now — Amazon Mayday was the company’s first inclusion of the tech in their products. 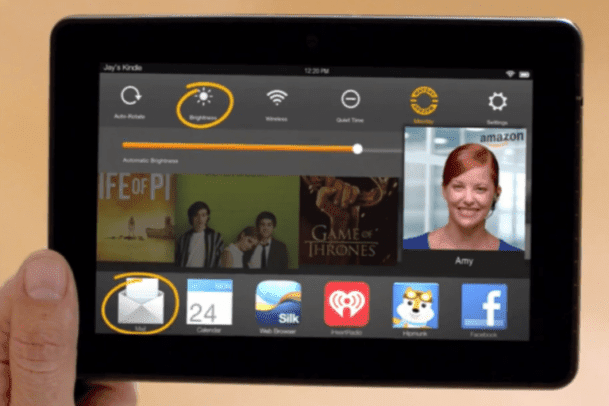 Amazon Mayday is an in-app help option that providers users with a live one-way video chat of an agent. This agent also gains in-app control and drawing capabilities for an impressive support experience. With their most recent developments, Google is making some great progress. Just at the end of February, it was announced that RCS was becoming available globally through 27 carriers. Starting with partnerships between Spring, Rogers and Telenor, Google included a pretty extensive list of the big names that are on board. Even Vonage jumped on the ship with their Nexmo platform. According to Google themselves, they’re “now partnering with carriers representing more than 1B subscribers worldwide.” So, it’s safe to say RCS is being pushed into the mainstream, and it’s being pushed really hard. This is, again, all thanks to Google’s acquisition of Jibe back in 2015, as they are still leveraging the Jibe cloud platform to deliver the experience. Some other names you might not recognize are Archos, BQ, Cherry Mobile, Symphony, Wiko, Lanix, LeEco, Lava, MyPhone, QMobile and Kyocera. The adoption of a new advanced standard for texting was a long time coming — what with the idea originally introduced 10 years ago in 2007. iMessage has been a huge success for Apple, and even helps power some really powerful customer interactions on iPhones. But the Android sector of the world was missing out. All we had were band-aids like third-party messengers, but the whole idea is that we need a universally agreed upon standard for all phones. You might be thinking the biggest benefit here is for the consumers using the phones. But really, this change will help any business searching for the next edge over the competition. RCS is coming and it’s coming quickly, but customers are already demanding easier support and service. With RCS, your business will be able to leverage the new and existing tech to provide the best customer experience possible — unless you want to fall behind. What about the carriers and manufacturers that haven’t joined Google or signed on to RCS yet? What can we expect from them? Like where’s Samsung? 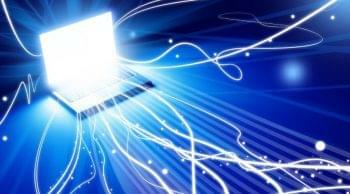 And what about inter-operability between carriers and devices? Are there concerns some carriers or devices only support a limited amount of RCS features? What about older devices? Do they just not get the message or is there a graceful degradation? For carriers and manufacturers that haven’t joined, Google simply stated: “We’ll continue to add more partners over time.” So, it seems as if they’re working on gaining as wide adoption as possible. With everything going on at Samsung, who knows when they’ll catch up. When it comes to inter-operability between carriers and devices, it seems as if the push is simply for total adoption. Now I don’t know too much of the nitty-gritty technical detail, but I am under the impression its a total package deal, these apps and standards support all of the features. It doesn’t seem as if this is a “take what you want and ditch the rest” situation, as the system wouldn’t function in only small pieces. Since the goal is to transfer all data the same way call data is sent, it wouldn’t make too much sense to have specific functions separated. Again, this is just my impression and thoughts. When it comes to older devices, there should be a graceful degradation – Google also explained that “Android Messages supports RCS, SMS and MMS so people can message all their friends regardless of their network or device type.” Based on this, my thought is that an RCS message being sent to a non RCS enabled device will receive the closest SMS or MMS comparable message – only text will be sent, not images for example. How “gracefully” this is handled, now that’s a question up in the air that definitely needs to be dealt with! I do wanna say, thanks again for bringing RCS to my attention! It made for an interesting learning experience for myself, as well as hopefully an interesting blog post for everyone else.